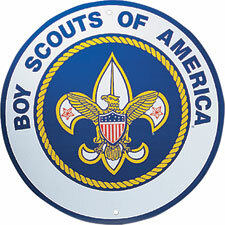 “A lawsuit filed by former Boy Scouts over alleged sexual abuse by a former Scout leader has been dismissed, but that won’t be the end of it, says a lawyer for the men. The men filed suit nearly a year ago against the Boy Scouts of America, the Northeast Georgia Council of Boy Scouts, several Athens churches and the estate of Ernest Boland, saying they suffered lasting harm from Boland’s sexual abuse. The Scouts and the churches knew Boland had been accused of sexual abuse as long ago as 1961, yet allowed him to continue as a Scout leader for years, according to the lawsuit. A successful Athens businessman, Boland died at age 88 in 2013, the year after an Oregon judge forced the Boy Scouts to release the names of thousands of Scout leaders expelled from the organization because of accusations of sexual abuse. The Clarke County lawsuit, filed last year, alleged the churches and the Scouts had endangered the public with a “persuasive and systematic cover-up” of those identities. Darren Penn, the lawyer for the men suing the Boy Scouts and Boland’s estate, said the men will file suit again, but just when, and on what grounds, depends on a bill now pending in the Georgia Legislature. Penn requested the lawsuit be dismissed without prejudice earlier this month, just days before a hearing was scheduled on defendants’ motion to dismiss the lawsuit before new Western Judicial Circuit Judge Regina Quick, who took over the case when she was appointed to take the place of retiring Judge David Sweat. Their decision to dismiss the suit hinged on several factors, Penn said, including objections defendants had made about notification, and the possibility that Quick could have ruled in favor of the defendants, which would have presented a big obstacle for the plaintiffs. But another big reason is that a law pending in the Georgia Senate could change the legal landscape for such lawsuits, filed by grown victims years and even decades after the abuse they underwent as children. House Bill 605, the “Hidden Predator Act of 2018,” has broad bipartisan support. Introduced by Rep. Jason Spencer, R-Woodbine, it passed the Georgia House by a vote of 170-0. But it’s not a sure bet that it will come up for a vote at all in the Senate, said Rep. Spencer Frye, D-Athens, one of the sponsors of the bill. Georgia law allows victims of childhood abuse to sue up to the age of 23, but the Hidden Predator Act would extend that age to 38 for abuse occurring after July 1, 2018. For one year beginning July 1, 2018, it would also give older victims whose abuse occurred before that date — like the plaintiffs in the Athens lawsuit — a chance to file suits. Studies show that many victims aren’t able to confront what happened to them for many years, said Frye, explaining the provision that would increase the window when victims could sue to age 38. The bill also would allow victims of childhood sexual abuse to sue organizations who concealed or protected abusers, as the lawsuit against the Scouts and churches alleges happened. Lawyers for the defendants include Steven Heath of Cowsert/Heath, the law firm of state Sen. Bill Cowsert, R-Athens, who is vice chair of the Senate Judiciary Committee. Lobbyists for the Scouts and for the Catholic Church have worked to defeat or water down the bill, Frye explained. The Georgia Chamber of Commerce and insurance companies are also against it, while the Georgia Baptist Mission Board is on record as supporting the bill. However, the church supports lawsuits against any individual abuser, no matter how long ago the abuse took place.